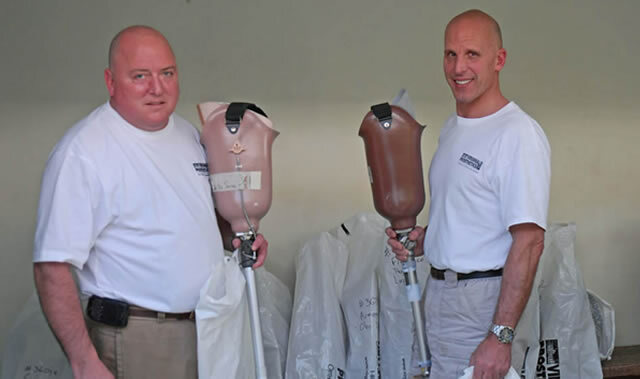 Virginia Prosthetics and Orthotics has always believed that an integral component of a successful business is a commitment to community service and philanthropic endeavors. Though we provide support for many organizations, we try to be especially aware of those that support or are aimed at the cure or prevention of diseases that directly affect our patients. These include Diabetes, Vascular Disease, Multiple Sclerosis, Cerebral Palsy, Traumatic Brain Injury and others. We also try to support athletic events in which our patients or others with physical challenges compete. Virginia Prosthetics is also proud to be a founding member of the Virginia Orthotic and Prosthetic Association. (V.O.P.A) Join us at wwww.vopaweb.com. We encourage every Virginia O&P provider to be a member of V.O.P.A. Only by joining together can we form a cohesive, unified voice with a defined agenda that can promote professionalism and protect our patients. Douglas Call, President of Virginia Prosthetics and Orthotics, was asked to lend his advice in planning a golf tournament to benefit the Brain Injury support groups in the Roanoke area. Not only did Doug help with planning the tournament, he committed to be the first and the primary sponsor for the event. 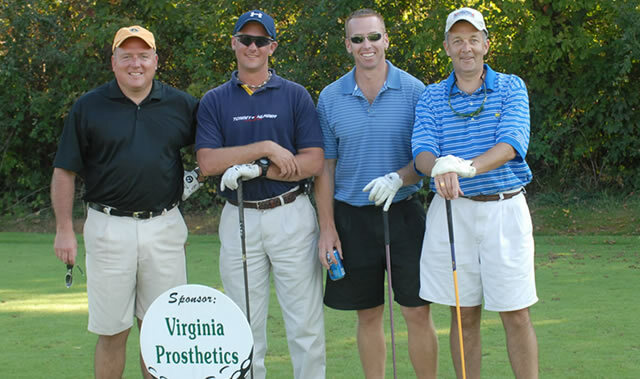 Virginia Prosthetics and Orthotics continued to be a presenting level sponsor for the next 8 years and today is still one of the tournaments leading supporters. 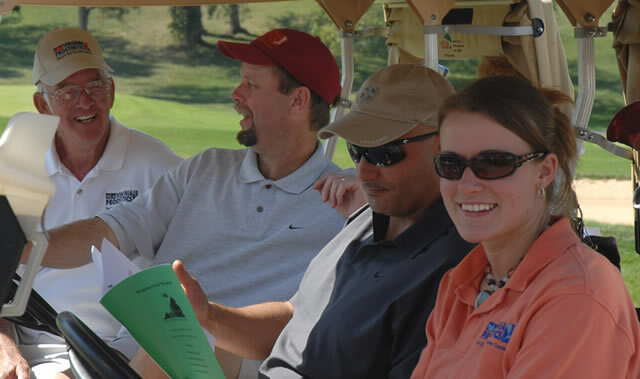 The tournament is called the Southwest Virginia Invitational Golf Challenge and is organized by the Roanoke Area Brain Injury Connection and the Brain Injury Resource & Development Center. We are now in the process of helping orchestrate this year’s tournament. Douglas Call and Charlie Coulter were meeting with Dr. Hugh Hagan of Roanoke. when during their conversation, Dr. Hagan asked if there was much research into low-cost alternative prosthetic legs. 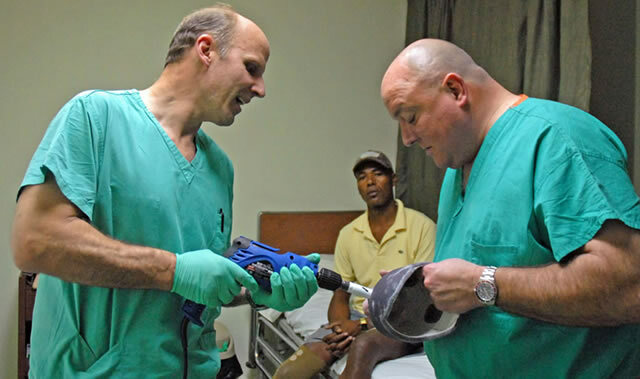 Dr. Hagan was a member of a medical mission trip organized by Second Presbyterian Church. The mission involved traveling to the Dominican Republic each year to offer medical services at a clinic in a remote village. The clinic was sponsored by Solid Rock Mission out of Indianapolis, Ind. He explained that they saw a large number of amputees there who could not afford prosthetic care. Doug suggested that he would be willing to go down on the next mission trip and see what assistance Virginia Prosthetics and Orthotics might be able to provide. Doug and Charlie traveled to the Dominican Republic with the other Second Presbyterian Church volunteers. After seeing the incredible need for prosthetic care, Doug offered to measure patients and provide them legs at no cost. He and Charlie have returned each year, some years making two trips in order to be able to work with children who cannot wait as long to be fit. Organized by the Blue Ridge Chapter in conjunction with the National Multiple Sclerosis Society, the Tour de Vine is a two-day bike tour on the beautiful back roads of Albemarle County that passes through several of the area vineyards. Tour de Vine is one of many fund-raising bike tour events held nationally that support the important work done by the National MS Society. This event maked the 25th anniversary of the Tour de Vine and Virginia Prosthetics and Orthotics looks forward to participating in the coming years. 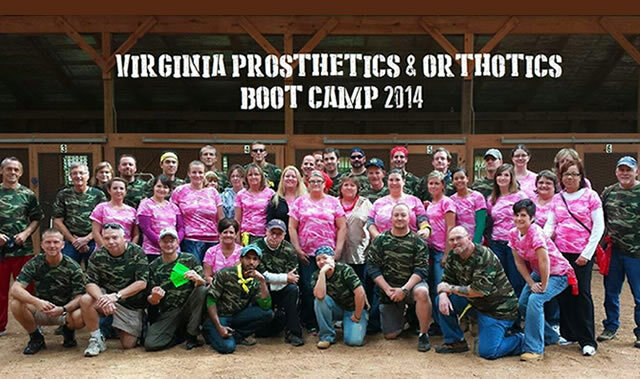 All Virginia Prosthetics & Orthotics Inc. employees recently attended an annual “Boot Camp” at the W. E. Skelton 4-H Educational Conference Center at Smith Mountain Lake, Va., for a day of camaraderie and team-building exercises. Office Manager Carla Craft and Compliance Director Melissa Edwards outdid themselves in orchestrating an outstanding company retreat. Employees who arrived on Thursday evening enjoyed a dinner and everyone gathered later around a campfire for horseshoes and s’mores.? Friday was a great success as everyone divided into three teams and the competitive juices were flowing. Though the forecast called for rain, the weather remained beautiful until showers finally arrived in the late afternoon. By that time, the last activity was underway ? and luckily held in the barn ? keeping team members happy and dry. Everyone had a great time and is looking forward to the next trip to “Boot Camp"